Ryan Fanelli is Walter Hobbs, Buddy the Elf’s real father, and Madison Maiorini portrays his wife, Emily. 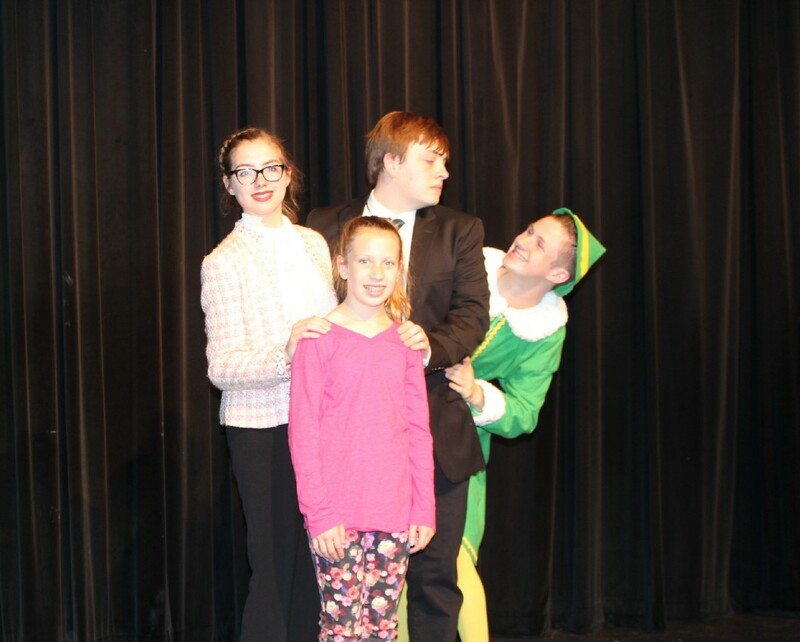 In ‘Elf Jr.,’ the Hobbs Family, Emily (Madison Maiorini of Marlton), Walter (Ryan Fanelli of Marlton), and Michaela(Ciara Shea of Blackwood) discover a new family member, Buddy the Elf. It’s Christmas in July for two Marlton residents as they get ready to perform in Mainstage Center for the Arts’ production of “ELF Jr.” set to debut July 26. Marlton resident Ryan Fanelli is playing Walter Hobbs, Buddy the Elf’s real father, and Marlton resident Madison Maiorini portrays his wife, Emily. For those looking for a little spirit, Mainstage Center for the Arts’ upcoming production of “ELF Jr.” looks to provides plenty of it. Audience members of all ages can watch Buddy, Santa Claus, Jovie, Walter, Michaela and Emily as they bring this Christmas tale to life at the Dennis Flyer Theater on July 26 through July 28. As if being a human raised by elves was not unique enough, on his adventure Buddy he meets his father, Walter Hobbs who is on Santa’s naughty list. Mainstage Center for the Arts’ production of “Elf Jr.” runs July 26 and July 27, at 7:30 p.m. and on July 28, at 10:30 a.m., in the fully-accessible Dennis Flyer Theater, Lincoln Hall, Camden County College, 200 College Drive, Blackwood. The July 27 performance will be sign ASL interpreted. Ticket prices are set at $12 for adults, and $10 senior citizens or children 12 and under. Group prices are available. To purchase tickets, visit www.mainstage.org or call (856) 227–3091.